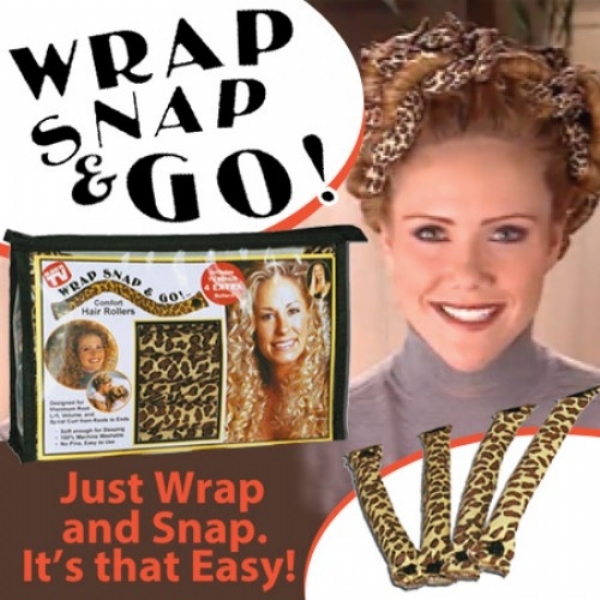 Wrap, Snap and Go! comfort hair rollers. Wrap, Snap & Go! comfort hair rollers, as seen on TV.Sleep an extra hour every morning by curling your hair while you sleep! These rollers are designed for maximum root lift, volume, and spiral curl from roots to ends. Patented interlocking technology lifts hair at the root for greater lift and curl. To their credit, they do produce a curl quickly on dry hair, but if you have layered hair, these are a huge chore to get rolled and keep in. Tip: for smaller sections of hair, try knotting rather than snapping to keep it held. I really like these rollers! You truly can sleep in them and the curls turn out great. So glad I bought them.